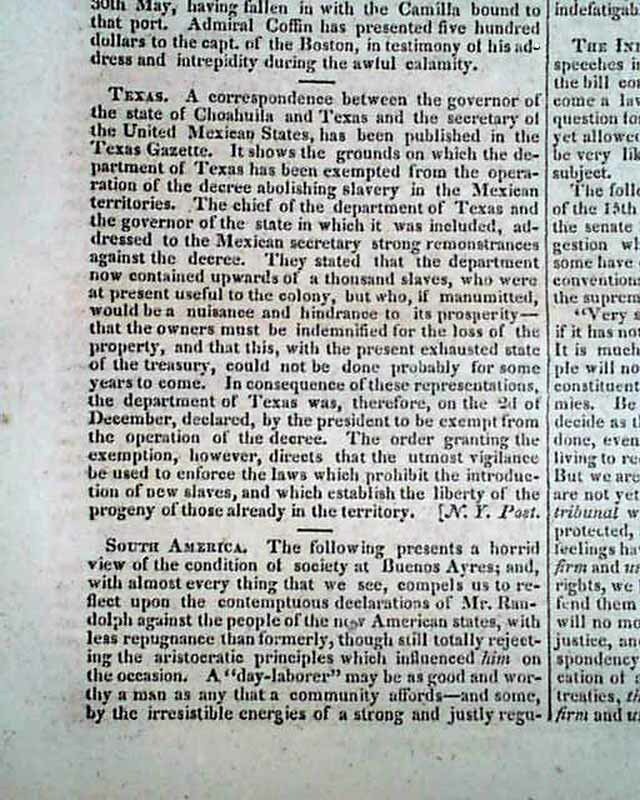 NILES' WEEKLY REGISTER, Baltimore, June 12, 1830 Inside has: "Texas" which includes in part: "...the grounds on which the department of Texas has been exempted from the operation of the decree abolishing slavery in the Mexican territories...They stated that the department no contained upwards of a thousand slaves who were at present useful to the colony, but who, if manumitted, would be a nuisance & hindrance to its prosperity..." with more (see). 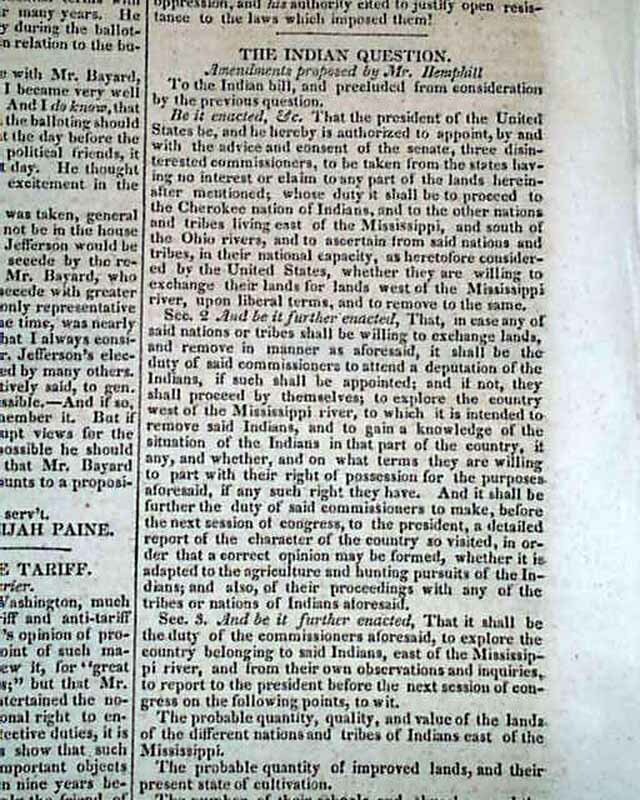 Also:"The Indian Question" relates to the controversial Indian Removal Act effective in 1830, which authorized the President to negotiate with southern Indian tribes for their removal to federal territory west of the Mississippi River in exchange for their lands, ultimately resulting in the "Trail of Tears". 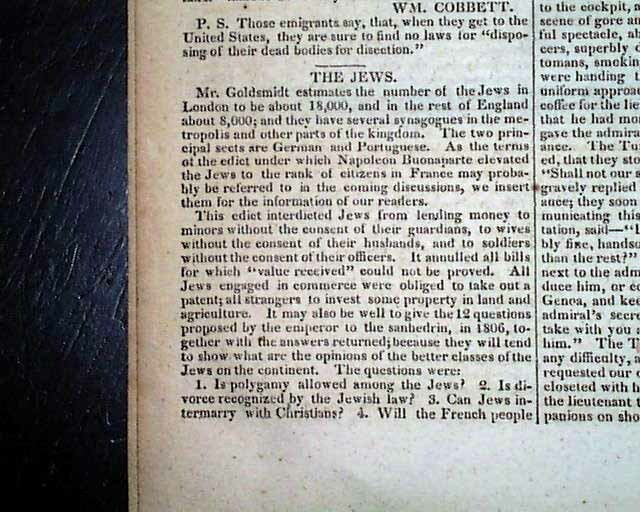 Also: "The Jews" which takes close to half a page (see). Sixteen pages, 6 by 9 1/4 inches, ink stain to an unrelated leaf, nice condition. 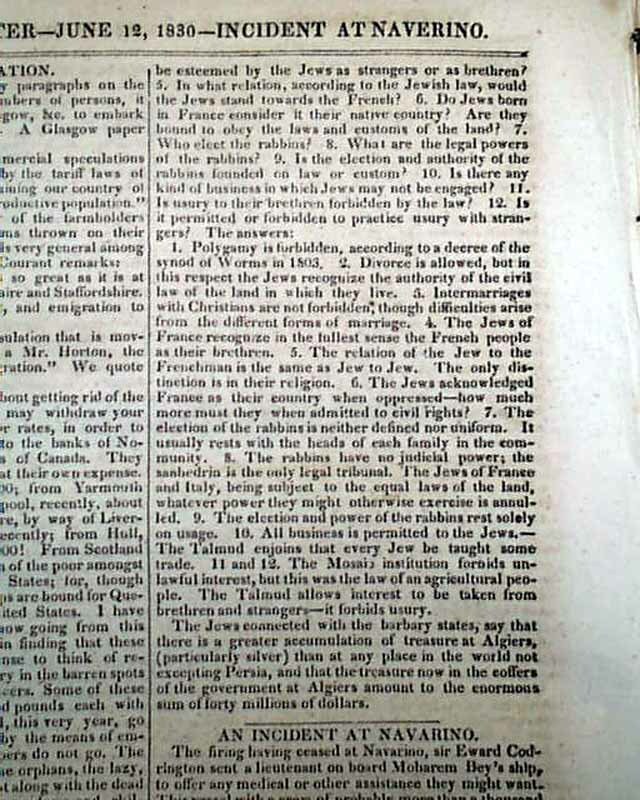 This newspaper began in 1811 and was a prime source for national political news of the first half of the 19th century. Wikipedia notes: "Niles...Register (was) one of the most widely-circulated magazines in the United States...Devoted primarily to politics, Niles' Weekly Register is considered an important source for the history of the period."